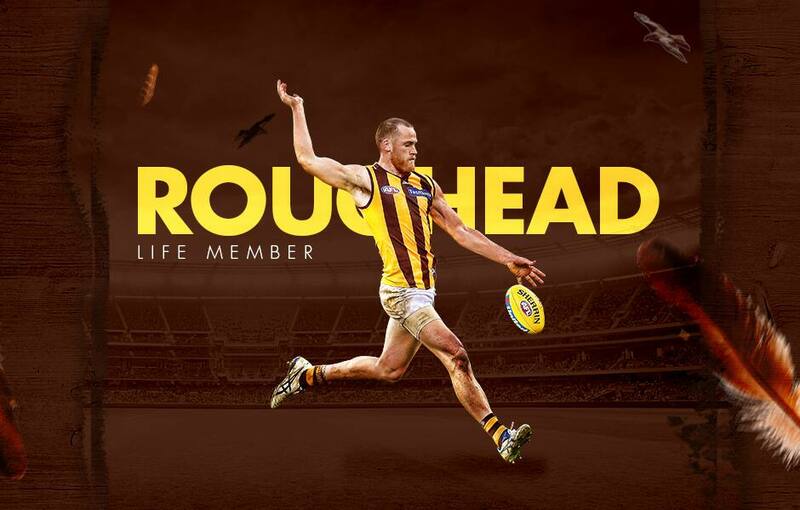 Jarryd Roughead is officially a Life Member of the AFL. The Hawthorn star fulfilled the league’s life membership criteria this weekend after notching up his 300th AFL outing in the Hawks' loss against St Kilda. His tally comprises of 277 premiership games, 21 pre-season games and one international game. In the midst of his 15th AFL season, the man affectionately known as ‘Roughy’ has given fans a career full of spectacular goals, impressive marks and a series of accolades. Most notably, Roughead was a key contributor in all of Hawthorn’s four recent premierships. He was also awarded the 2013 Coleman Medal after booting 72 goals for the season, as well as receiving two All Australian guernseys (2013, 2014). He captained the club in the 2017 and 2018 seasons - last year leading the Hawks in his eighth final series. A master in front of goal, a loyal teammate and a fan favourite.